(02-05-2015, 12:52 AM)Lens Wrote: That lot is quite small so it probably won't be so large. An updated render of 661 Stirling S.
Looks like a potential project is in the works for 4189 King St E, Kitchener. Seen some site activity this morning when passing by. Information listing for this property available here. Quote: KITCHENER — Long-term residents in Upper Doon are angry and alarmed by a proposal to build a student housing project on vacant land tucked among single-family homes near Conestoga College at almost triple the density currently allowed in the neighbourhood. The proposal by Owl Properties would add at least 160 more students in 49 stacked townhouses and would almost triple the maximum allowable density from 25 units per hectare to 70 units per hectare. As well, the proposed development is seeking changes to the city's Official Plan and zoning bylaw to allow fewer parking spaces (1.33 spaces per unit for a total of 65 spaces, rather than 1.75 per unit or 85 spaces as now required) and to allow the building to come within 4.5 metres of properties on Amherst, rather than the required 7.5 metres. 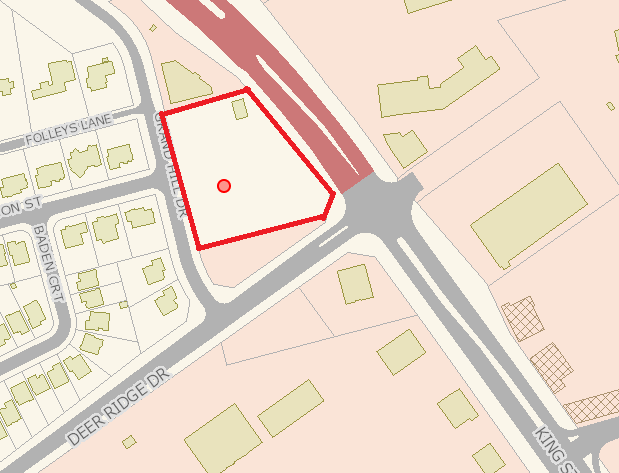 Patrick Gruber lives in the Old Mill Club condo complex about 500 metres away from the proposed development, which would be built on a 0.7-hectare (1.7-acre) parcel of vacant land tucked behind single-family homes on Doon Valley Drive, Durham Street and Amherst Drive. Many of the surrounding homes have been converted to student housing. Gruber was one of about 70-75 people who attended a public information meeting about the proposed development late last month. "We've already got overcrowding," said Gruber in an interview. "Half of the area is already student housing. You've got too many cars, the bylaws are not being enforced, you've got bedrooms in basements without windows. This guy wants to put more people into the area, with less parking and somehow that's supposed to work out well?" The developer, Oliver Jahn of Owl Properties, is a well-known landlord in the area, and owns eight houses that he rents out to students. He also heads an association of about 25-30 landlords in Lower Doon, who are working to improve relations with the neighbourhood and ensure their tenants meet neighbourhood expectations around garbage, noise, parking and other areas. The $12 million to $15 million project is far more ambitious than anything else he's been involved with, and is the first privately built, purpose built student housing in the area, Jahn says. But he believes it is a win-win for the community. The students are already in the area and there are likely to be many more of them as Conestoga College continues to grow, he argues. Jahn wants to build attractive, safe housing for students, in a development designed for them, and believes that's a better solution than simply cramming students into converted single-family homes, he says. "The cat is out of the bag. Eighty per cent of the people that live in Lower Doon are students now," Jahn said. The project fits with provincial rules to encourage intensification and infill, he says, as well as with a suggestion by city staff in 2013 that allowing higher density development in Lower Doon might be one way to ease stress on residential areas. But Barb Thomas, who lives just down the street from the proposed student housing, argues that higher-density housing should rightly go on major roads or in urban nodes where there is major public transit and commercial development, not in the middle of a residential area where duplexes, townhouses and highrises are now prohibited. The ward councillor for the area, Yvonne Fernandes, agrees. "I like his idea. The problem is it's in the wrong location." Jahn proposes dedicating one three-bedroom unit to a full-time live-in "supervisor" who would be a contact point for the neighbourhood and would act as a sort of don for students. "Human behaviour can't be legislated," Jahn said. "People behave the way that they want, but to have somebody of maturity on site can only help." That doesn't impress Thomas, who notes that the developer or any future owner could eliminate the on-site manager at any time. She fears the development, if approved, will create a precedent and will bring in more higher-density housing, eventually driving out long-term residents. "I love this neighbourhood," Thomas said. "It's beautiful. It's along the Grand River. It has a semirural feel to it. It allows for great diversity. And I think that will be lost." Long-term residents must be allowed to participate as the neighbourhood changes, Thomas argues, "as opposed to being put in a position where the landlords dictate what happens." The project is at the very early stages. City planner Garett Stevenson is receiving comments on the proposal until the end of March. A recommendation will go to the city's planning committee, likely in mid- and late 2015, and to council after that. If the proposal is approved, Jahn hopes to start construction in fall 2016, with possible occupancy in 2017. Anyone wishing to comment on the proposal is encouraged to contact Stevenson at garett.stevenson@kitchener.ca or 519-741-2200, ext. 7070. Jahn also said he would welcome hearing from the neighbourhood about his project. Aaah, the NIMBYism! You live near a postsecondary institution, people, those students have to go somewhere. I wonder how many of them were renting their basements out and just had their rental values drop like a rock. I don't know that part of town, but anything you read in the Record makes it sound like they are experiencing a smaller version of the problems that made Northdale an issue. I will fix this post at a later time. The expansion at Grand Valley Institute has been completed. Changes at Fischer Hallman and Glasgow, the nail salon and health food store at the Glasgow end of the plaza are gone. Pizza place being cleaned out too. With empty units around the old Blockbuster Video, you wonder what's in store for the place. There is also something happening to the fairway plaza across from Fairview Mall (Moxies/Canadian Tire Plaza) there is 2 signs on the plaza that say Kieswater demolition and it is fenced off from the old Pier 1 imports unit to the old BMO unit, there is also a sign for beat goes on that says Open during plaza facelift. ^ Demolition has started either yesterday or Today, there is a grocery store proposed to go there according to CBRE's website. (03-24-2015, 09:06 PM)TMKM94 Wrote: ^ Demolition has started either yesterday or Today, there is a grocery store proposed to go there according to CBRE's website. Neat! The closest right now is Food Basics, good to see some more basic shopping go in to this area (especially with Ion on the way). 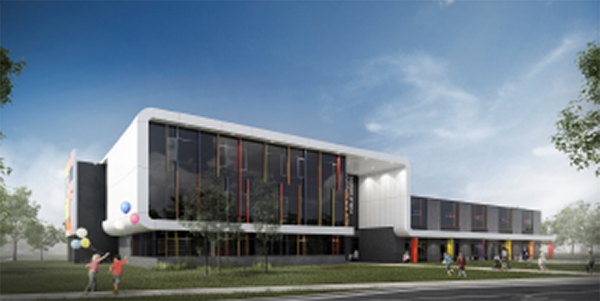 The WRDSB has released the rendering for the new public school to open in 2016 in the Vista Hills neighbourhood on the west side of Waterloo. The design is rather unique and refreshing from the conventional new school design seen over the last 15 years. I hope this trend continues. The WRDSB is getting more creative with school design lately, as seen with the new Moffat Creek Public School in southeast Cambridge (opened in 2012). Looks neat. I guess if it opens in 2016 it would mean pretty much all kids would be bused to this school. There isn't near enough houses around there to support many children. Wow, very creative. Particularly given that the WRDSB is not usually known for their out of the box thinking when it comes to school design. (04-06-2015, 11:35 PM)Spokes Wrote: Wow, very creative. Particularly given that the WRDSB is not usually known for their out of the box thinking when it comes to school design.